When Bernie Sanders and Hillary Clinton took the stage one after another at Colorado's annual Democratic Party dinner earlier this month, I immediately understood why Bernie has ignited the campaign season - and why Hillary should be president. The Vermont senator's ability to motivate and mobilize had become clear to me a few hours earlier when thousands waited for hours at the Convention Center, anticipating Sanders' scheduled speech. They cheered when he called for political revolution. "Are you feelin' the Bern?" one of my young friends asked. Later, speaking at dinner to the politely festive party faithful, Sanders sparked our consciences with powerful appeals to core Democratic values. The quintessential social movement leader, he spurred us to care, crusade and caucus. Indeed, his instinctive talent explains why he has energized so many new and veteran voters nationwide. Clinton, in her dinner speech, was a studied contrast. She delivered a rounded and reasoned assessment of the opportunities, risks and price tags that await our next president as she or he fights for our vision of fairness and justice. She sounded like a compassionate executive in chief. That's the choice facing the people of Colorado, Massachusetts, and nine other states this Super Tuesday: Opt for a bold firebrand or a stalwart steward of Democratic ideals. Social movement leaders are inspirational figures who shape the world. But their brilliance doesn't equate to practical experience in maneuvering between the possible and the futile. From the podium, Sanders proclaimed his handful of campaign themes. He rightly condemned a "rigged economy" and said that under his presidency college education would (somehow) become free for all. His anger met with applause. But we heard no practical prescriptions for overcoming enormous challenges, never mind how we'd pay for the solutions. Clinton, for her part, sounded like a former cabinet member used to bringing detailed answers to White House briefings. She ranged from the environment to terrorism to the family. She was able to delve into one issue after another, spelling out the subtleties of legislative responses from her decades of work on a broad array of topics. Movement leaders put essential ideas on the national agenda. But if we care about moving forward on those issues, this contest must be about who can get elected and who can govern. America won't elect a self-proclaimed socialist whose dreams require swelling government to the tune of trillions of dollars. Sanders' extremely well-funded opponents would eviscerate him nationally with unfair and untrue ads that paint him as un-American and weak. Sanders is untested. But Hillary has been through it. So what? Here's what. Come November, Dems face losing not only the White House, but also surrendering our government -- and that includes the Supreme Court -- to an increasingly extreme right-wing machine that will undermine progress on climate change, poverty, immigration reform, education costs, election fairness, health care reform and women's rights. Talking about crucial causes doesn't make a viable candidate or successful president. Our hearts may long for the absolutist crusader, but our heads should guide us toward the compassionate and competent achiever. 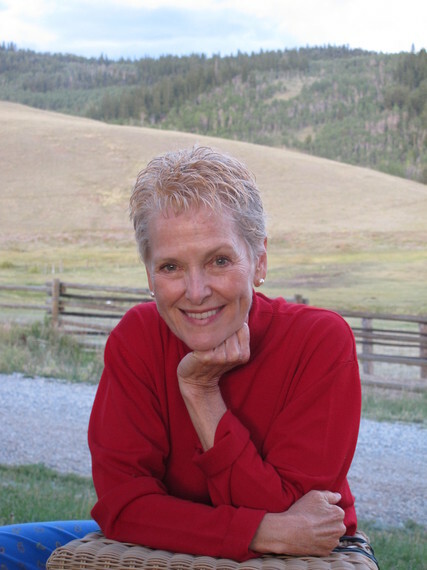 Swanee Hunt is co-founder and chair of Hunt Alternatives, a family foundation launched in Denver in 1981 and now based in Cambridge, MA.